Warnings have been issued about a piece of adware known as Zacinlo, which masquerades as a free VPN service called s5Mark, but in actual fact offers an altogether very different range of features. We have all encountered the free bundled software when we try to download a piece of freeware from the internet. Some paid-for software even pushes it onto us. But while this free software might look like an opportunity too good to miss for some users, it actually presents a real and potentially very serious threat. s5Mark is a piece of software which is offered in some of these bundled offers. It gives the impression of offering a free VPN service and when you first download and open it, you are presented with what appears to be a simple VPN interface. But behind the scenes, s5Mark is getting up to some much more nefarious practices. When a user opens the VPN interface, the software automatically downloads its actual components as well as some Malware. This resides at the root of your PC and activates before your operating system opens. s5Mark is targeted at Windows 10 users and seems to be mainly aimed at users in the North American markets. On installation, s5Mark is able to temporarily shut down Windows Defender as well as 13 other anti-virus programmes from the likes of Kaspersky, Malwarebytes, Symantec, Bitdefender, and more. This enables it to install adware onto your device. Once installed, this adware has some deeply unpleasant features. It is able to secretly take screenshots of your device, send information about the desktop environment back to whichever hackers are behind it, and also it can stop any processes in Windows that it feels may be a threat to it. According to Bitdefender, whose report has highlighted the threat of s5Mark, this is evidence that the software is still under development despite having been around more than six years already. As if to add insult to injury, as well as all of these intrusive features, s5Mark doesn’t actually offer any form of VPN service at all. You can play about with the client settings and seemingly connected to various different servers. But in actual fact, nothing has changed apart from the malicious software now active on your device. If you have already downloaded s5Mark onto your device, the clear advice is to remove it and all of its components immediately. If you haven’t then there is no need to panic. s5Mark can only get onto your device if you allow it to download. So, the clear message is that if you do decide to download free software from the internet, be very careful of other software which is bundled with it. Often, this software is not as it seems, and a clear rule of thumb is to always decline the option to download such programmes unless you are 100% confident in their authenticity. The case of s5Mark highlights once again the clear risks of using a free VPN. This is something we have highlighted repeatedly on this site and bears repeating. Again and again, free VPNs have found to be secretly installing malware onto user’s devices. They also regularly harvest user data, sell your private information to third parties, inject adverts into your browser, or simply fail to provide a proper VPN service at all. If you do insist on using a free VPN, try to do your research properly in order to select the least worst option available. This article is a good place to start. But our advice remains to stick to the paid-for VPN rather than a free one. 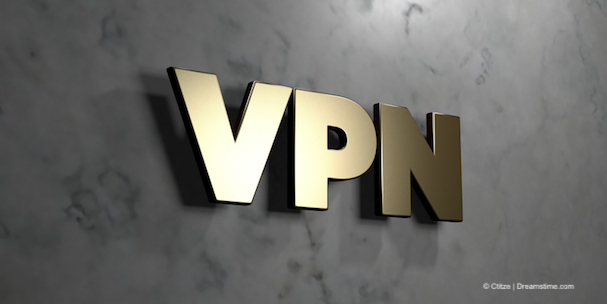 They are just not worth the risk these days, when a premium VPN, such as NordVPN or ExpressVPN is available for just a few dollars a month and offers such exceptional levels of service.